Do you want to get more from your performing career? Do you want to learn what you USP is and how to master your online presence so you continue to showcase your talents outside of the audition room? Then #BrandingCreatives is for you. Jamie has taught his #BrandingCreatives masterclass at some of the UK’s leading creative and performing arts universities and colleges. Jamie also teaches open masterclasses in London, check back for the next open masterclass. Graduates, performers, theatre company owners, authors, dance school owners, artists, musicians and even fire breathers! By knowing your ‘brand’ and gaining the confidence in ALL your skills you will standout in the casting room, at interviews and auditions. 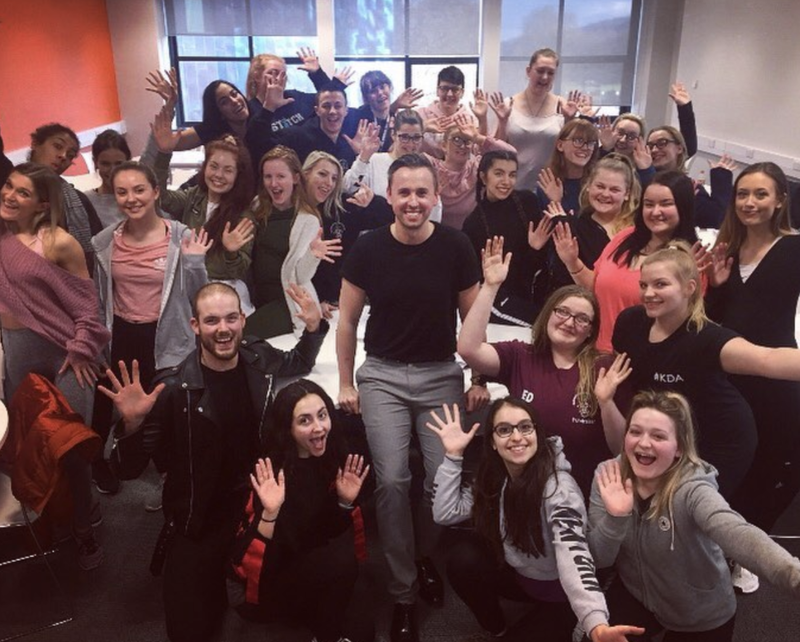 ‘Jamie brought our students a fantastic insight on how to brand yourself in an ever changing industry. Sign up with your email address to receive social media tips and tricks for creatives as well as to find out about upcoming #performerbranding masterclasses.